The University of Roehampton Department of Humanities held their ACE event at Grove House on 21st June 2018. The Adam Room provided the ideal location for panels and lectures on Classics education, decorated as it is with Classical motifs and relief panels. The event attracted practising teachers from Surrey, Sussex, West London and Kent, as well as undergraduates, graduate students and trainee teachers. 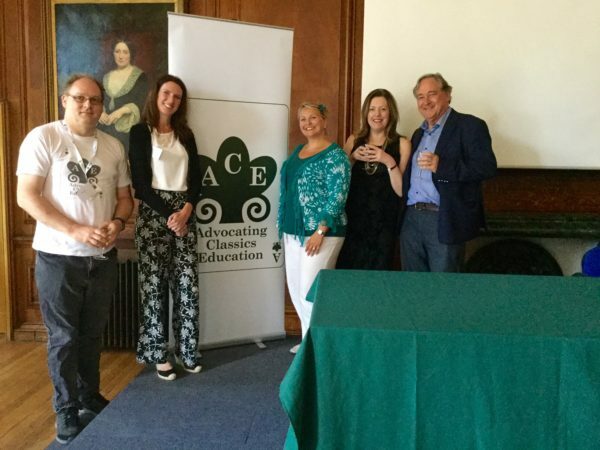 The programme included a number of panel presentations which covered the basics of setting up Classical Civilisation and Ancient History in secondary schools – delivered by teachers who have done this. Hilary Hodgson from Classics for All also provided an overview of the grants available to schools, together with the training and additional support provided. 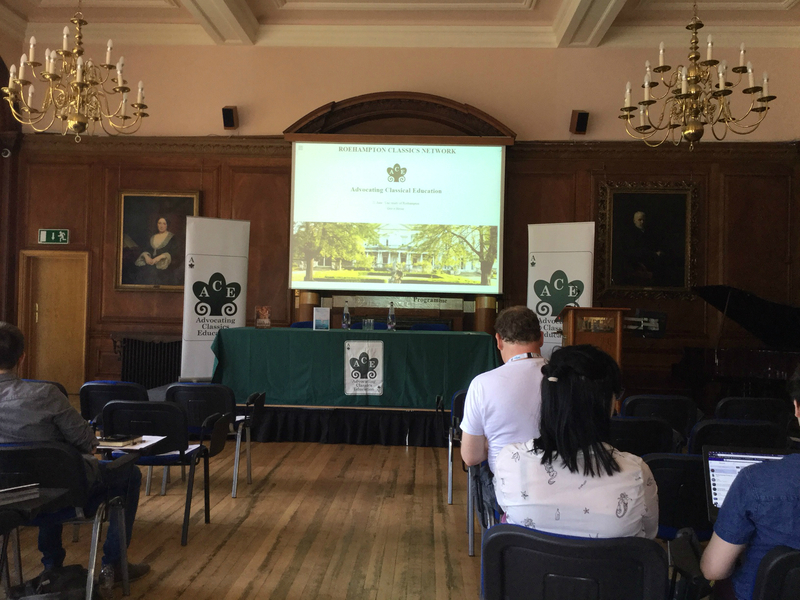 Professor Edith Hall and Dr Arlene Holmes-Henderson gave a lecture on Classics and twenty-first-century skills, outlining the case for Classics in the contemporary curriculum. 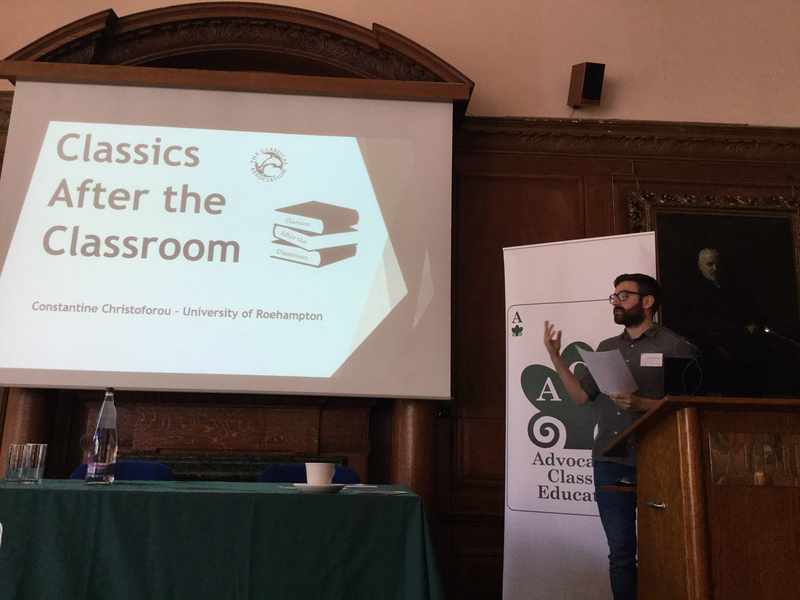 An update on ‘Classics after the Classroom’ was provided, which gave an insight into the careers chosen by Classicists after university. Compelling testimonies were shared from a prison chaplain, an asset manager and an educational leader. The climax of the event was a fascinating talk from Professor Andrew Wallace-Hadrill on Herculaneum and Pompeii. A drinks reception followed, with Roman-style nibbles, provided by the University of Roehampton students’ Classics society. 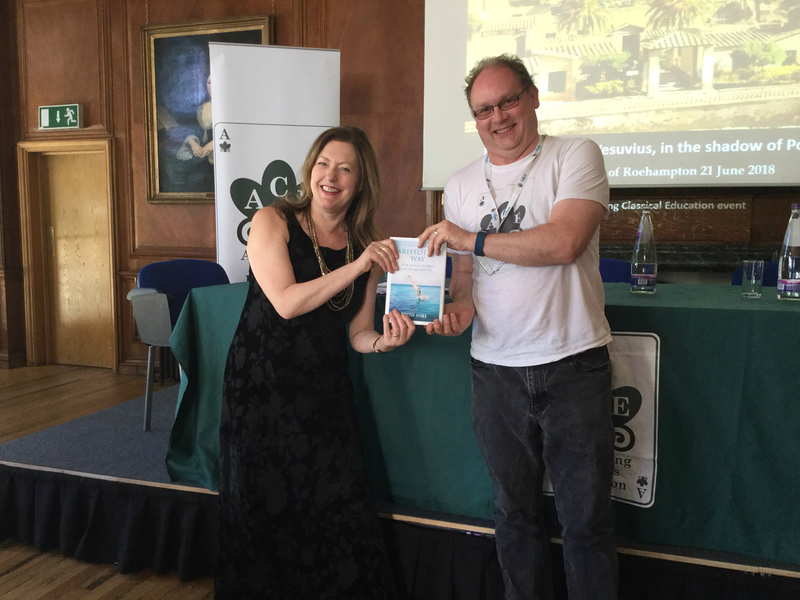 The caption competition was won by Dr Tony Keen, who received a copy of Professor Hall’s new book: Aristotle’s Way. Dr Kathryn Tempest at the University of Roehampton is co-ordinating the new SW London and Surrey Classics hub, so any teachers/school leaders interested in finding out more about introducing Classics should contact her at k.tempest@roehampton.ac.uk. Roehampton is also a partner in the ‘Our Mythical Childhood’ (OMC) project which investigates the use of Classics in children’s literature. There are a number of parallels between ACE and OMC and we look forward to exploring these in more detail over the coming years. You can check out the event flyer here.